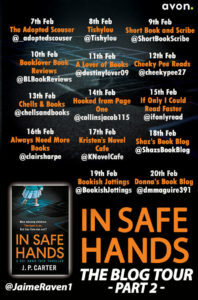 Welcome to my stop on the blog tour for In Safe Hands by J.P. Carter. 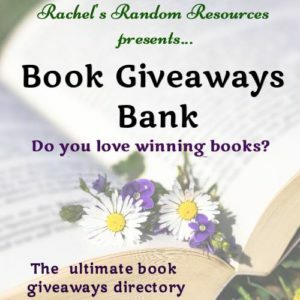 I have a short extract from the book to share with you today. My thanks to Sabah Khan from Avon Books for the place on the tour. 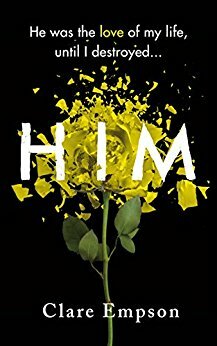 How far would you go to save the ones you love? 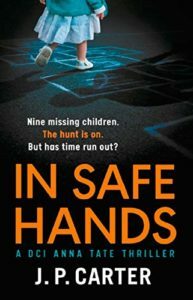 The first book in a stunning new crime series featuring DCI Anna Tate. One of his men was telling those inside to calm down and step away from the door. The same officer then used his boot to kick at it three times before it gave way. There was a light on inside the storeroom and it revealed a sight that made every muscle in Anna’s body go stiff. A woman was lying on the floor with the back of her head resting in a small pool of her own blood. Two other women were kneeling beside her and a third was standing over them with a mobile phone in her hand. The distraught women all appeared to be in their twenties or early thirties and were casually dressed in matching blue T-shirts and jeans. Their eyes were cloudy with fear and their faces awash with tears. The women quickly exited the room, and Anna half expected them to break down in floods of tears. But instead all three dashed across the playroom to one of the other doors that had a sign on it which read: Quiet Room. The first to reach it peered inside and then let out an anguished cry that sent a bolt of ice down Anna’s spine. Anna stepped forward and looked into the room, which contained a sofa, a few chairs and a low table. 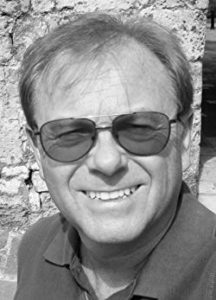 Author bio and picture taken from Amazon.